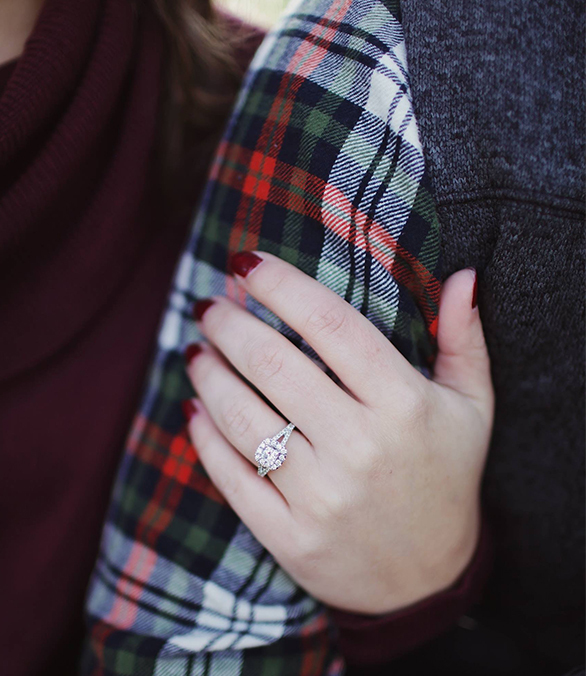 The traditional Jewelry shopping experience starts by browsing hundreds of different types of engagement rings in search of the perfect ring for yourself or your loved one, which can result in hours of searching and research. The founders of SunDiamond.com wanted to simplify the process of searching for a new engagement ring by allowing shoppers to choose and customize rings based on their specific preferences. We created a process by utilizing our experience in Jewelry manufacturing and technology to create a shopping experience that allowed individuals to learn about the process of creating Jewelry while completely customizing their Jewelry from the comfort of their own homes. The result was a shopping experience that lets individuals and couples choose every aspect of their new rings from the ring style, the type of main stones, the quality of the Diamonds, and the type of metal, which will help you to easily compare, customize and create an engagement ring that exceeds your expectations while staying within your budget. Our mission is to create a flexible shopping experience that educates the customer about the different choices they have available to them when purchasing Jewelry. We want you to feel good about every aspect of your new Jewelry, from the sourcing to the final product. All our engagement rings are designed, casted, hand set and finished in the USA. We’re committed to supporting our partners, employees, local community and the US economy by manufacturing all of our products in the USA. We want you to feel good about every aspect of your new Jewelry, from the sourcing to the final product. This is why we only source Diamonds that are warranted conflict-free and comply with the Kimberly Act. Sun Diamond sources Diamonds from reputable, well-known diamond manufacturers and suppliers who participate in the system of warranties and are compliant with the Kimberley Process. Our Jewelry is made from Recycled Precious Metals. Recycled gold and platinum is most commonly sourced from old Jewelry; although used electronics, catalytic converters and even some industrial byproducts contain recoverable precious metals. We are also requesting that our customers recycle their old gold and platinum Jewelry that they no longer wish to wear. Only at Sun Diamond you can choose every aspect of your new ring from the ring style, the type of main stone, the quality of the Diamonds, and the type of metal, which will help you to easily customize and create an engagement ring that exceeds your expectations. We have designed a unique shopping experience that educates you about the different choices available to you so that you are able to customize what best fits your needs, personal preferences and budgets. Sun Diamond is very passionate about giving back, creating opportunity, being socially responsible and environmentally conscious. Which is why we commit to Donating a part of our profits to charity towards causes that are engaged in improving the quality of life, protect environments and generating employment in communities that are affected by the diamond and jewelery trade.